Gensler has replaced New York firm SHoP Architects on the design for the Quicken Loans Arena in Cleveland, Ohio. SHoP had revealed its designs for the Cleveland Cavaliers’ basketball stadium, known as “The Q,” in December 2016. Work was scheduled to begin on the $140 million project the following year; however, work was delayed for a number of reasons. A spokesperson for Gensler confirmed to AN that Detroit-based stadia specialists Rossetti, who worked with SHoP on the original project, remain involved. 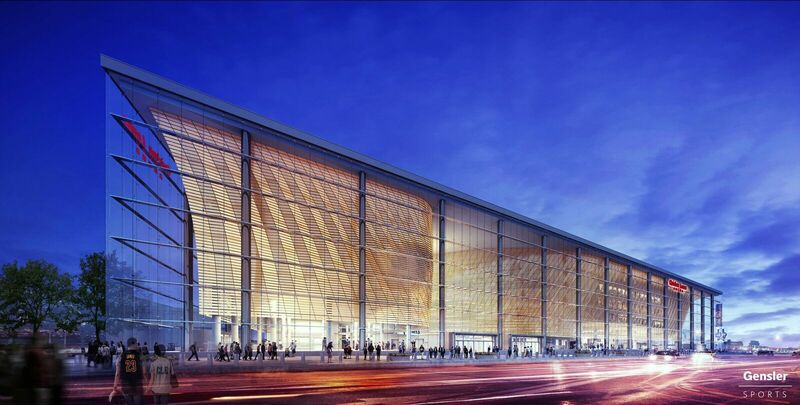 Renderings given to AN by Gensler show the arena’s overall design is mostly unchanged. Gensler’s design team will come mostly from its Washington D.C. office and be spearheaded by Ryan Sickman, who holds the position of Firmwide Sports Practice Area Leader at the firm. 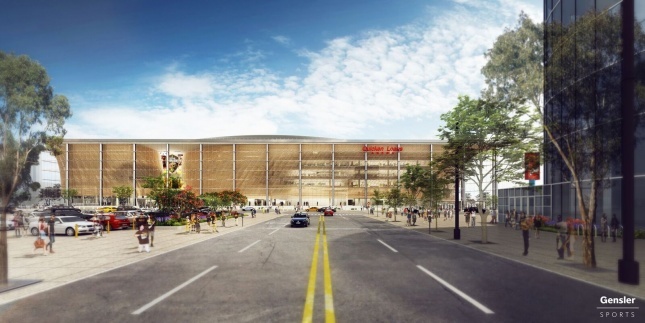 Surprisingly, another collaboration between the two firms wasn’t on the cards, despite Gensler and SHoP having previously worked together on the Nassau Veterans Memorial Coliseum in Long Island, another stadium revamp. The former was completed almost exactly a year ago today. In 2013, SHoP’s design for a New York City F.C. stadium in Flushing Meadows Corona Park was given the boot amid opposition. “I like the idea of a soccer venue in New York City… What I’m not crazy about is the fact that they want to take public park land in the process,” said New York City Comptroller John Liu at the time regarding plans to plonk the 25,000-seat stadium on up to 13 acres in the park. After scouting the Bronx, Columbia University and Belmont Park in Nassau County, and failing to secure a stadium site, New York City F.C. is still on the hunt for a home. Despite only being 22 years old, the Quicken Loans Arena is one of the oldest facilities in use on the National Basketball Association circuit. SHoP’s design featured a new glazed facade which stretches the stadium’s footprint closer to the street edge. This fenestration reveals an undulating arrangement of what appears to be wood panels which, given their location well inside the facade and north-facing orientation, don’t seem to serve any shading purpose. Aside from aesthetics, entrance and exit gangway areas will witness an increase in space, thus aiding circulation—a necessity considering The Q hosts more than 200 events every year.